The plan is to spread the word about the benefits of lane filtering, and encourage drivers to get out of their cars and onto a motorcycle for their daily commute to work. Apart from benefits to the individual – who will spend less time in traffic – it will cut down congestion for everyone. Plus, coaxing a car driver onto a motorcycle (even if it is just for a short time) will allow him or her to see the world through motorcycle rider’s eyes, and become more aware of two-wheeled traffic. The end result will be more effective traffic flow and safer roads. So here’s my plan: each reader should plonk this story in front of at least one non-bike-riding car driver and let them discover for themselves just how much of their life is being wasted sitting behind the wheel of a car stuck in traffic, when they could be enjoying a straight-through run to their destination. Is there any bigger time vampire than traffic congestion? As a motorcycle rider I’m constantly amazed at how many people seem content to sit in a large car, mostly by themselves, and creep towards their destination an inch at a time. In 2014 sanity began to prevail as the NSW state governments legalised lane filtering. Queensland followed suit earlier this year. 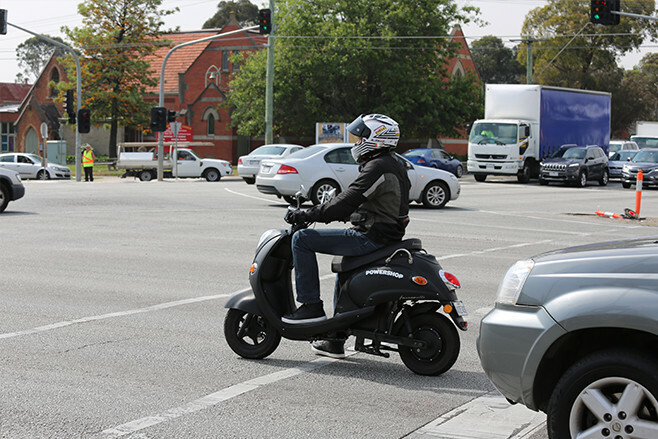 On 2 November last year, while Australia prepared for some sort of drinking game involving a horse race, lane filtering rules came into force in Victoria, and at that moment Melbourne became the most motorcycle friendly capital city in the Australia. Lane filtering and sidewalk parking have made Melbourne a two-wheeled commuter’s paradise, however, it’s a southern nirvana that many more of us could – and should – be enjoying. To test just how much benefit there is in lane filtering, the team at AMCN lined up for a peak-hour trip from Gassit HQ to the centre of Melbourne. Three modes of transport were used, with the journey undertaken at the height of the city’s notorious peak hour (actually about four hours in the morning and four in the evening). Paul Andrews drew the short straw and took the iLoad long-termer van. Mark Vender, still on his L plates and therefore not legally allowed to lane filter, caught the train. And Sports Editor Paul McCann chose to tackle the challenge on the Fonzarelli electric scooter. Why a scooter and not one of the many high-powered exotica lined up at Gassit HQ? When it comes to maneuverability through traffic, inner-city commuting and easy parking, there’s no better mode of transport than a scooter. The commuting challenge kicked off from the AMCN office at 8am, with McCann rolling off on two wheels, Andrews on four, and train-bound Vender striding off towards Huntingdale Station on foot. It took all of a minute for the little scooter to disappear into the distance. The Fonzarelli may only have a top speed of 80km/h, but in Melbourne’s peak hour traffic that’s more than enough. In the interests of fair play McCann rode the little scoot in the same manner as Joe Public would, not like the racer he is. 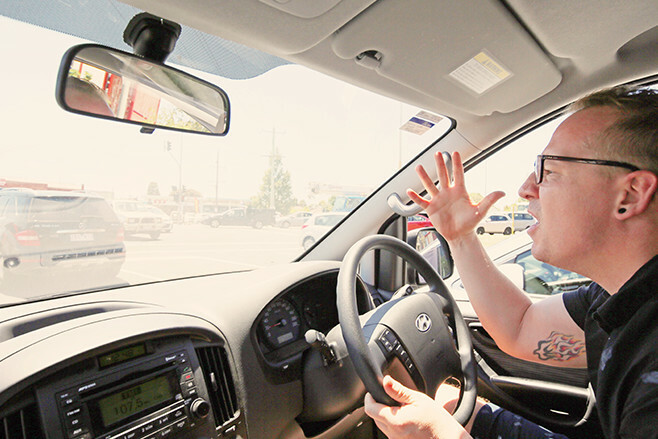 He even waited for Andrews in the iLoad to catch up to him at the infamous Princes Highway/Dandenong Road, intersection – a frustrating bottleneck where it’s not uncommon to be forced to wait three or four sets of lights before moving on. McCann and the Fonzarelli simply filtered effortlessly between the parked cars to the front of the queue. Half a minute later he got the green, and while the driver of the car next to him finished her text, McCann was already zipping away from the pack. Back in the van, already more than five minutes behind the scooter, Andrews was stuck behind two trucks driving side by side, and his stress levels were going off the chart. Meanwhile on the train, Vender, despite appearing relaxed as he read the latest issue of AMCN, was more than just a little perturbed by the man’s hairy leg rubbing on his, and the almost toxic levels of BO in the sealed cabin. With a range of 50km per battery and a distance of just 20km between Oakleigh and the Powershop in Melbourne’s CBD, McCann was in no danger of running out of battery power. Of course, running out of petrol in the diesel iLoad wasn’t something Paul Andrews had to worry about either, but he did constantly find himself in the only lane not moving on the Princes Highway, while McCann legally filtered between moving cars travelling at less than 30km/h (almost all of them) allowing him to retain an average speed for the entire trip of 31.9km/h. Just as the clock ticked over to 35 minutes, McCann rolled up to the front doors of the Powershop. He effortlessly and legally parked the little Fonzarelli on the pavement out front, saving another chunk of time, as well as money and aggravation looking for a parking space. 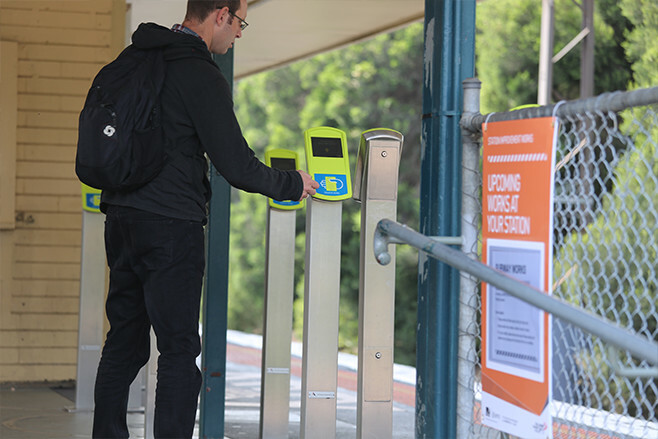 Vender arrived from Flinders Street station 17 minutes later and was already checking his timetable for a train back. Andrews arrived 18 minutes later than Vender and a whopping 35 minutes after the scooter – and he still had to find a park. McCann had one last trick up his sleeve. Being electric, the little commuter does not get hot or have an oily engine smell, making it totally unintimidating in the office environment. Staff didn’t bat an eyelid when the Fonzarelli was wheeled into a friend’s office – in fact they all stopped to admire it in the foyer. Then it was parked next to a workstation and plugged into a standard wall socket, where it recharged while the early arrivals went for coffee. Based on our rough calculations, if a car driver travelling around 20km into the CBD each day changed their mode of transport from car to a motorcycle they could cut over an hour from their travel time each day. That’s five hours per week, or approximately 240 hours per year. Then there is the saving on running costs. Running an internal combustion engine scooter costs very little; it becomes almost zero if you go electric and scab someone else’s power like we did. The benefits are clear to see, all you need to do is try filtering for yourself. Are you ready to take the challenge? In Australia, less then five per cent of road users are motorcyclists, so it’s difficult to gauge the effect filtering has on relieving traffic congestion. What we do know is there’s plenty of room for improvement. In many Asian countries, motorcycles (predominantly scooters) are the main form of transport. The crazy mix of cars and bikes on Bangkok’s infamously congested roads is legendary. If it weren’t for lane filtering the city would be brought to a standstill. In the Vietnamese city of Ho Chi Minh it’s estimated more than three million motorcycles crowd onto the roads each day, yet the traffic flows relatively freely as cars allow bikes to filter around them. In Los Angeles, where more than 200,000 motorcyclists share the road with an estimated two million cars, lane filtering is actively encouraged by all road users. A 2011 study in Brussels revealed that even when working on a ratio of 90 per cent cars to just 10 per cent motorcycles, preventing motorcyclists from filtering, and therefore taking up road space equivalent to one car, doubled the travel time for all road users through the test zone. NSW led the way in July 2014 with Australia’s first lane filtering laws. The decision followed a 2013 trial in Sydney’s CBD. As the majority of NSW motorcyclists already filtered, motorists didn’t notice any major change in driving conditions. Due to the location of the ACT (it’s a territory located within NSW if you are unsure) it made sense for Australia’s Capital Territory to follow suit, and it did, but only with a trial of the NSW rules. While not specifically illegal, riders can be (and often are) fined for a range of traffic offences, including unsafe overtaking. Even the Northern Territory road book describes lane filtering as “not recommended” – in other words, you’d be unlucky to get nabbed for it. Officially it’s a no no, but as long as you don’t overtake on the left and stay wholly within the lane of the the car you’re passing it’s usually OK.
Riders can use emergency lanes, use the road shoulder, and use bicycle waiting areas at traffic lights. Riders cannot use the emergency lane, use the road shoulder, or filter above 30km/h. Riders can filter next to parked cars unless signs say otherwise or if it’s unsafe to do so. While filtering is not legal in Tasmania, traffic jams are so infrequent, filtering is rarely required. Write in to amcn@amcn.com.au and tell us the results of your challenge.